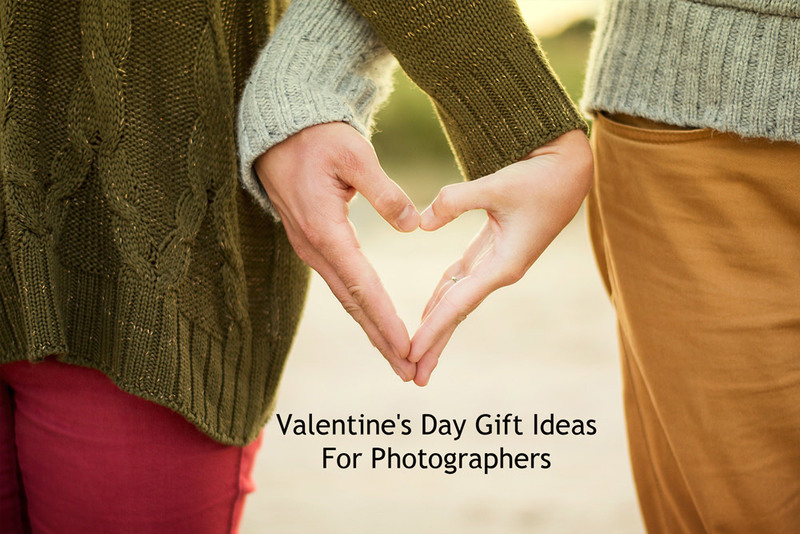 The team at ePz towers have been scouring the internet for photography themed Valentine's Day gifts so, hopefully, you won't be purchasing flowers from a service station this year. It's February and for those romantic photographers among you will know it's Valentine's Day on the 14th which means you've not got that many days left to find that perfect gift. Now, if the special someone in your life happens to be a photographer, we just might be able to help you out with some gift ideas that range from the reasonably priced but cute items to the more extravagant objects that are for those who, really, money is no object. 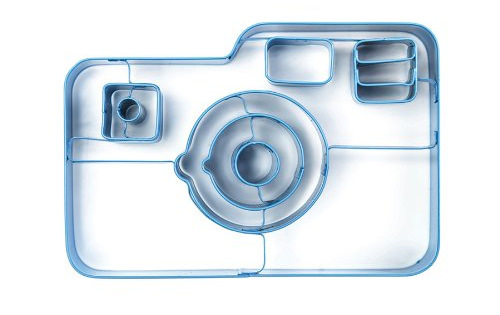 So sit back and get your scroll finger at the ready as we count down our top Valentine's Day gifts for photography fans. You can also skip to specific price points using the links below. Amazon UK also has a shop dedicated to the day that celebrates love. A card you've made the love of your life that, perhaps, features a shot of you both together will get you more brownie points than a shop bought generic card anyone can buy. 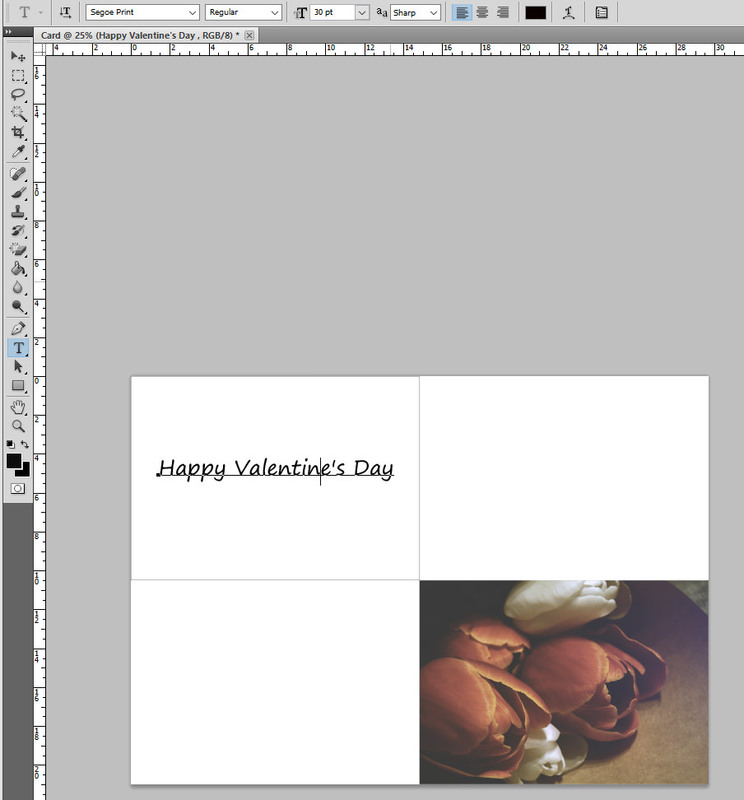 If you're unsure how to go about creating a card, we've got a tutorial to help you out: How To Create A Card In Photoshop. Put your photography skills to work and capture an image of the two of you together you can give as a gift. You could even present it in one of the frames or albums listed below. If you don't think one photo will be enough, why not spend a little time constructing a photo collage. This doesn't just have to feature portraits either as you could include photos you've captured in some of your favourite places, holiday memories and other moments from your time together. There are plenty of free apps, such as Phototastic Collage, that you can use to construct your collages with ease too. A personalised slideshow that can be viewed on your TV or even a tablet is something that will bring a smile to your partner's face. Like the collage, it can feature shots of you together as well as photos of some of your favourite places or events you've been to together. There are free apps available online you can use to construct your slideshow which means you just need to invest some time rather than money. 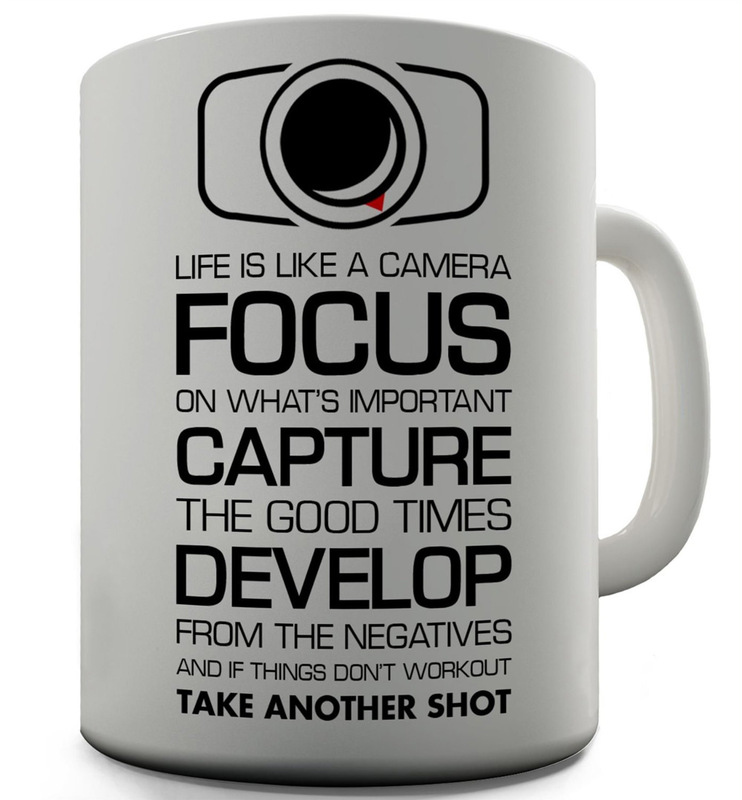 Another photography themed mug that's also reasonably priced but features a message this time rather than a pun. This stainless steel piece of photography themed jewellery is presented in a blue velvet bag and comes with a 55cm chain. 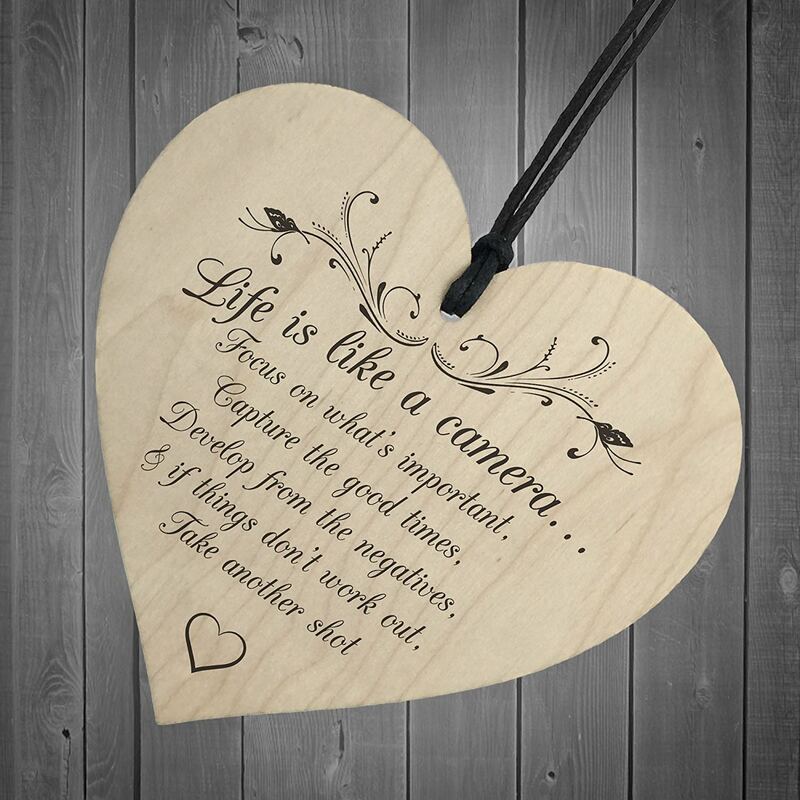 A lovely wooden heart plaque printed with a message that is perfect for photographers. We don't actually want you to wrap a cookie cutter up as we doubt that'll go down well. Instead, use the cutter to create cookies you can decorate and present as a gift in a nice box or bag. 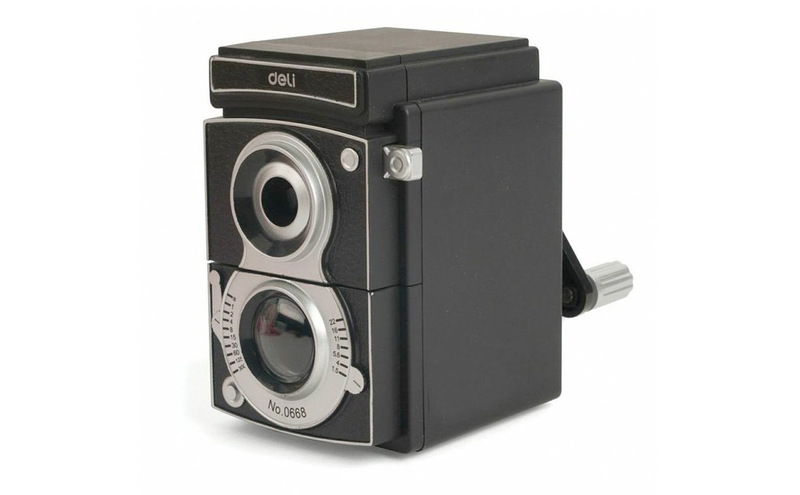 If the photographer in your life is a fan of sketching then this Twin Reflex style pencil sharpener will go down a treat. Sterling silver camera pendant that's supplied with a sterling silver snake chain and presented in a black leatherette gift box. 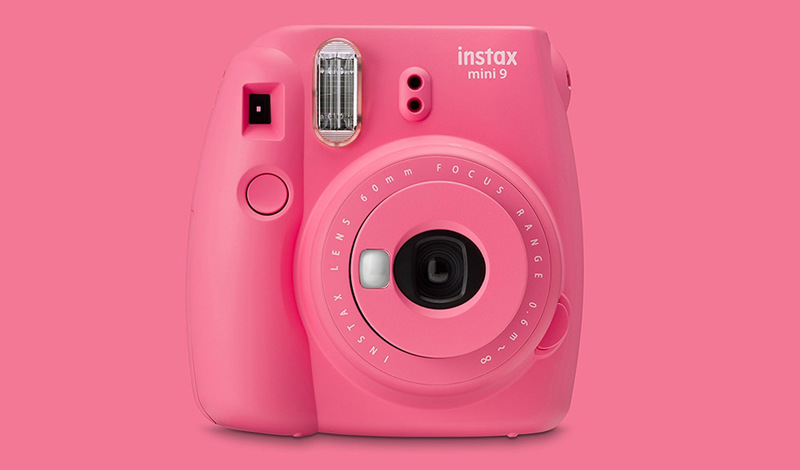 This fun, instant camera is available in a pretty pink and is accompanied with 10 shots of film. We have plenty of top lists for you to get some gift inspiration from including lenses and optical items, cameras and supports. If you want to spend a bit less money, how about a book?